Old and new: two native flat bags in Maret's collection, one twined before European contact and one after. This is the story of a tribe, a man, a garage sale and a collection of artifacts. It's the story of a reunion that almost wasn't. It begins and ends not in Humboldt County, but in the Columbia River Plateau. In October, Allen Maret will travel 600 miles from his Arcata home to a tiny museum in the middle of Washington State, the Wanapum Heritage Center. He will take with him 46 bags twined by tribes indigenous to the area. Some are more than 300 years old. Once scattered by war, trade and cultural disruption, the collection was carefully gathered and studied by Maret over 40 years, only to become the subject of a desperate year-long hunt through the pawn shops and attics of the county's seediest neighborhoods. Now they are going home. At his home on Fickle Hill, Maret lifts the bags carefully from large plastic totes and spreads them out on the rug of his sun-drenched living room. Some call them "corn husk" bags, after their primary component, but Maret says the material is less integral than their form. He refers to them as flat twined bags. The bags, which usually include hemp twine, are one of the oldest textile traditions in North America. They are rough-textured, and retain a sweet, vegetable smell. They vary in size, color and pattern, changes that Maret says represent the passage of time, contact with other cultures and the impact of European contact on their creators. "This collection is unique because it contains rare, early historic bags. It's the only collection that includes these historic examples," he says. 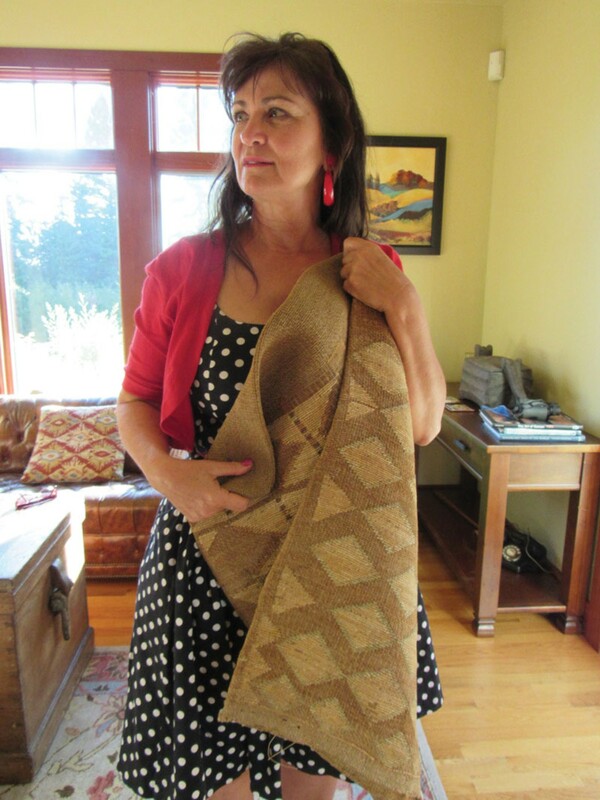 Maret first became interested in the bags in the 1960s, when he worked in community development with a tribe north of Spokane. He put together his collection through a network of antique dealers and friends over several decades. Some bags came from dealers as far away as Europe. When he began, Maret says, he had "no end game" in mind. He was just intrigued by the bags and what they represented, and saddened by their displacement due to the centuries of disenfranchisement and poverty among their cultures of origin. 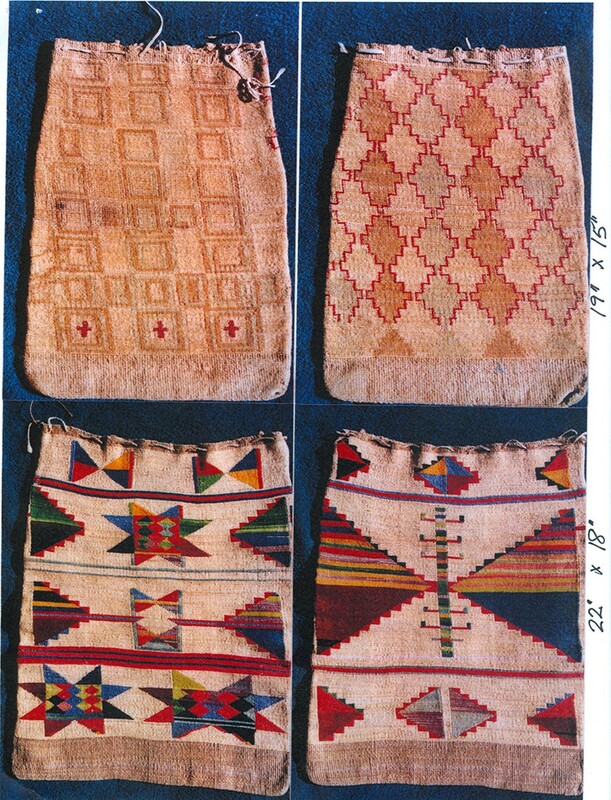 The oldest bags in his collection are large, about the size of a modern potato sack, and were used to store root vegetables through winter. Different colors of hemp are contrasted to produce a diamond pattern. Diamonds and parallelograms, Maret says, are recurring patterns in artistic traditions across the region. 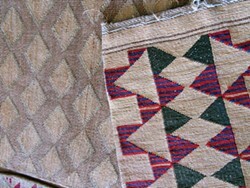 He points to near-identical patterns on baskets in the Hupa and Yurok traditions as evidence of inter-cultural exchange. With the introduction of the horse, the bags became smaller, meant to be carried while riding. 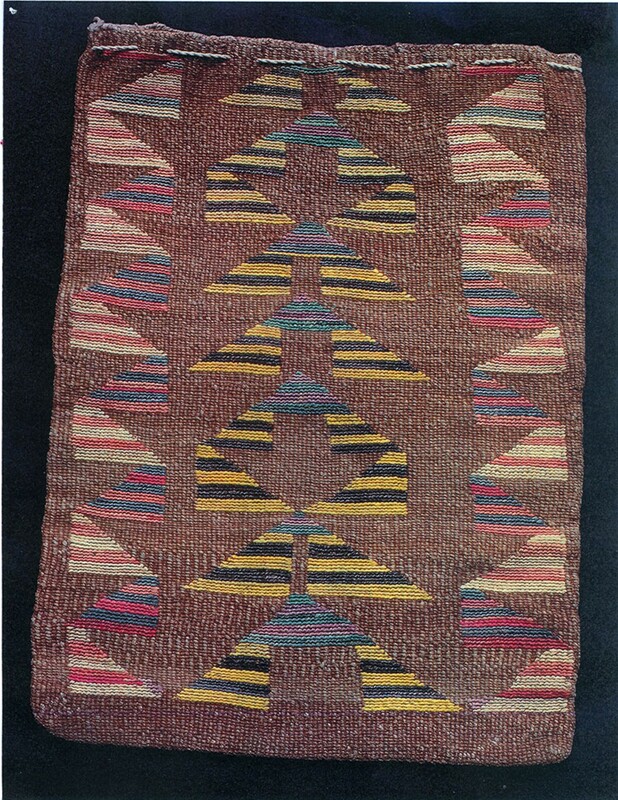 Bright yarn indicates the influence of colonization and trade. Photographs from the 19th century show Native Americans posing with the bags, the designs of which were often unique to family groups. Still later, bags display tiny crosses, reflecting the integration of Christian imagery into traditional design. 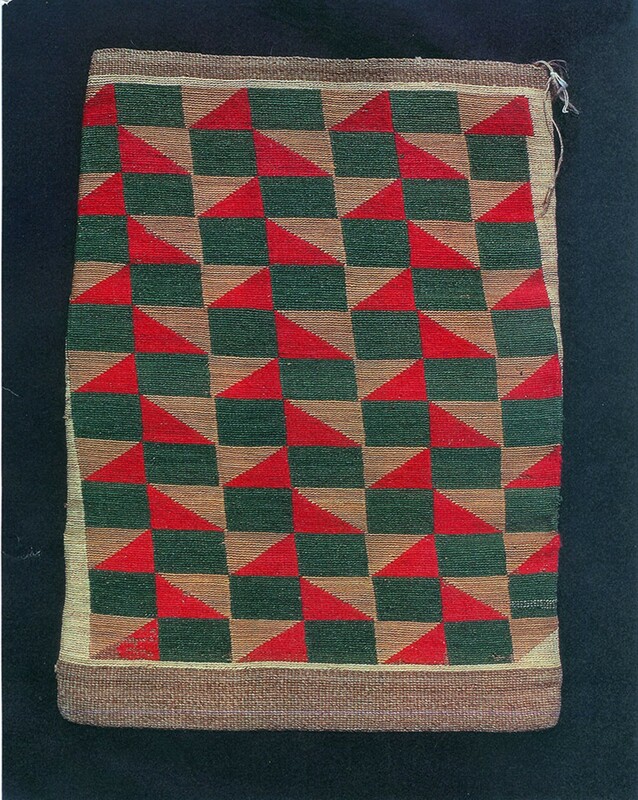 Each bag was the product of days of labor, their geometric designs complex and precise. "We can see over a period of four to six generations, how the design elements evolved," Maret says. "They're not isolated creative attempts. They're all connected." In June 2013 Maret's home was burglarized and 23 of the bags were stolen. When asked about the theft, he says he still struggles to talk about it. He finally lands on a single word: devastating. "I'm generally a very careful person," Maret says. The burglars broke into his garage while his new home was under construction, also taking tools and other personal items. Maret reported the burglary to the Sheriff's Department, but it was unable to provide sufficient resources to track down the artifacts. Similar bags can be found selling online for a few hundred dollars, but Maret says their real value comes in their ability to demonstrate a cultural history when displayed together. So Maret and his friend Rocky Whitlow engaged in a bout of amateur sleuthing, visiting pawn shops and antique dealers to quiz clerks and put up flyers. "We went to some really sketchy neighborhoods," says Maret. "The pawn shop owners were really helpful and straightforward. They gave us some tips on people they'd met who were trying to sell the bags. They wouldn't buy them because they knew it was illegal. So we ended up trying to track down the sellers." "It got really expensive for me," says Whitlow, referring to the stores. "Every time I walked in I would buy something." It was Whitlow's yen for a bargain that ended up cracking the case. By chance, she returned to a garage sale to buy some Indonesian shadow puppets she'd seen earlier. A lead from an antiques dealer had directed Whitlow and Maret to the sale, but the seller claimed to know nothing. The pair had plastered the neighborhood with flyers that had pictures of the bags, advertising a reward. A woman who happened to be at the sale recognized the bags and said she knew who had them. "She started spilling the beans," says Whitlow. Neither Whitlow nor Maret would give the name of the seller or the woman, who ended up acting as a liaison for the person who was holding the bags. Maret ransomed the bags back one by one, meeting the woman in dark parking lots and handing over envelopes of cash, paying around $300 for each. All but four bags were returned. Maret is still hoping someone will come forward. After the theft, Maret and Whitlow began their search for a proper repository for the artifacts, a place they would be safe and treasured. The 2012 theft of seven traditional Yurok and Hupa basket caps from the Blue Lake Museum loomed large in their minds. A friend of Maret connected him with the Wanapum Tribe, which lives alongside the Columbia River. Maret refers to the Wanapum as the "geographic and spiritual center of this culture." In fall of 2014, Maret and Whitlow arrived in Beverly, Washington. They followed a long, rural road through the sagebrush to a low building perched next to the Columbia River. It looked "like a spaceship," says Whitlow. Maret says he was impressed by the safety precautions and temperature controls at the Wanapum Heritage Center. He met the museum's curator, Angela Neller, and several tribal leaders, including Rex and Angela Buck. He took the recovered bags from their totes, one by one. What happened next, Whitlow says, still gives her goosebumps. "We didn't know these existed," said one person. Maret began crying. Others in the group began crying. "I was just like wow, wow, wow," says Angela Buck. "It was just amazing to just be in their presence ... All these kinds of things go out of the country, go somewhere else." Maret plans to donate half the bags and be reimbursed by the tribe for the other half, the details of which have yet to be worked out. Museum curator Angela Neller says they will be working with Maret to create a display inside the museum. The bags will serve a practical use as well, as part of the Wanapum Tribe's Living Cultures program, which teaches native youth traditional crafts and skills. 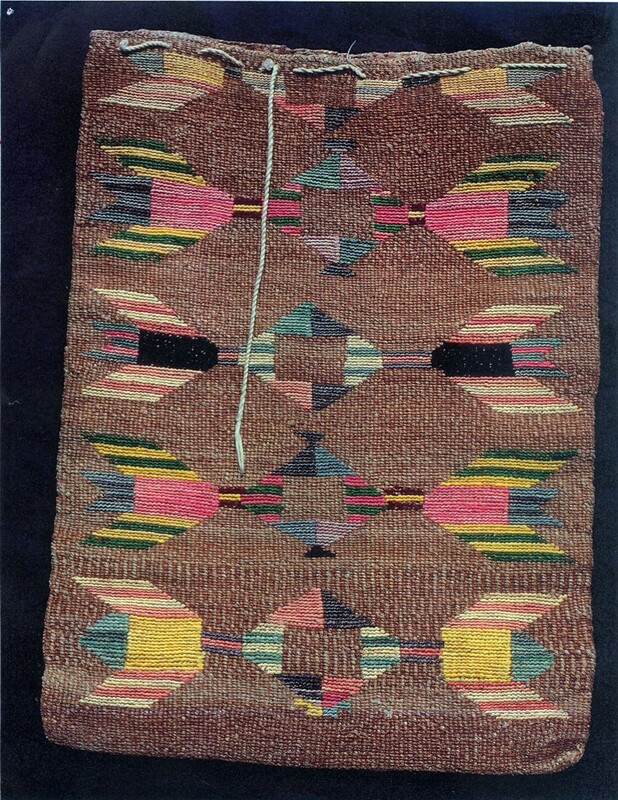 Prior to Maret's visit, they had begun classes in traditional hemp twining, but had no examples of the large, older bags. "Our people haven't seen these in how many years, I don't know," says Buck, adding that they will study the bags to revive the craft. "It's something that was asleep for awhile. Not dead. Not extinct. Asleep." Editor's Note: This article originally included a reference to the Wanapum Tribe being part of the Yakama Nation. In fact, the Priest Rapids band of the Wanapum referred to in this story are not part of the Yakama Nation. The Journal regrets the error.